B. (Barker) Winn is one of the names on the Bottesford ‘church list’ of WW1 Servicemen. He was usually known by this name rather than his first christian name, William. Mr Ian Norris is thanked for providing his memories of Barker Winn’s life after the war. Barker Winn was born on the 2nd September 1867 and baptised 19th September at Bottesford, son of John Winn and Ann Winn (nee Wilson), who were also both born in Bottesford. John Winn was a journeyman bricklayer. By 1881, Barker was already at work, as a farmer’s boy in Bottesford. By 1891, he had become an ironstone miner, living at Caythorpe. Later, he moved back to the Vale of Belvoir. Barker Winn and Harriett Faulks married on the 26th October, 1899, at St Andrew’s, Langar. In 1901, he was at work as a bricklayer, living in Cropwell Butler with Harriett and their son Robert John Winn, aged 9 months. However, by 1911, Harriett had died and Barker Winn was a widower, living in Bottesford with his son at 12 High Street. He was now 43 years old, still working as a bricklayer. During the following year, 1912, the Grantham Journal advertised the sale on February 23rd of “a quantity of Furniture and other items, the property of Mr. Barker Winn, to be sold in the ‘Red Lion’ yard.” No further information about the circumstances of this sale were added. When William Barker Winn enlisted, his age was given as 43 – there is a discrepancy with his year of birth or an error in that his true age was most probably 48. Perhaps the recruiting officer found it hard to believe that a man of this age would volunteer to join the fighting. He was living at Cropwell Bishop at the time. He attested and was posted on the same day, the 6th October, 1915, and was sent to Hornchurch, as Private 289621, initially it seems in the Labour Corps. 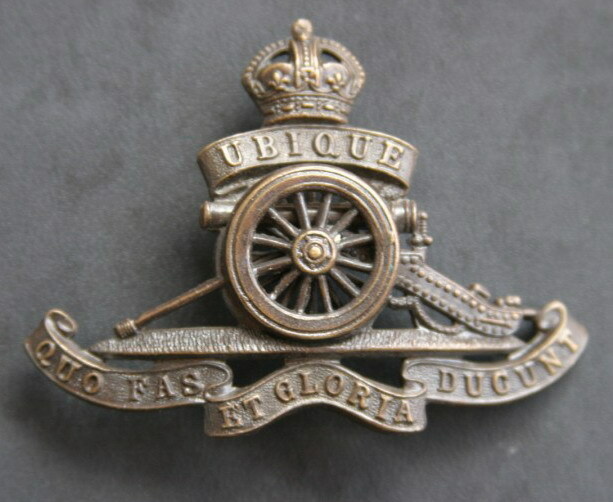 He was transferred to the Royal Field Artillery, joining the 212th Battery in the AR Brigade on the 18th May, 1917, where he served as a Driver. However, he does not appear to have served abroad. He was demobilised in February, 1919, aged 51, from Harrowby Camp, Grantham. His pension was 8s 3d per week, and commenced on the 24th February, 1919. By this date, he was 51 years old. 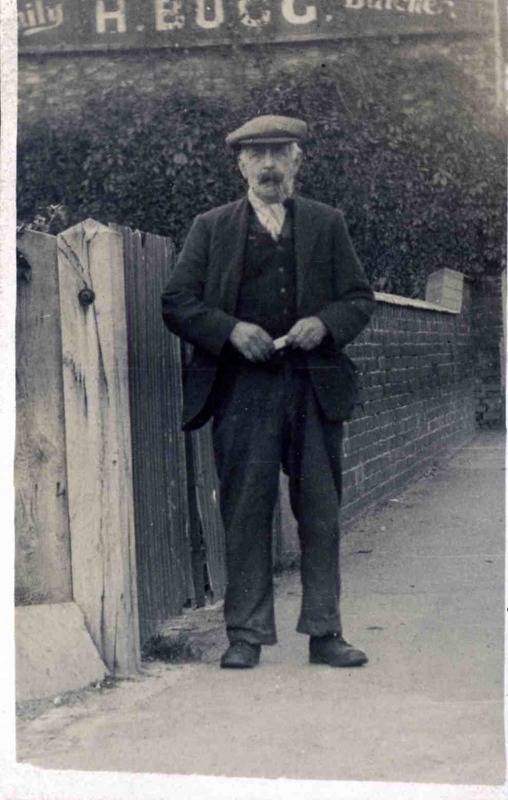 After WW1, Barker Winn was back in Bottesford and working as a general labourer for John and Frank Norris in the thirties. Ian recalled that he was “a rather rough and ready man” and that he called Gerald ‘scrap iron’ and might give children rhyming names such as ‘Eileen Kerosene’. As well as labouring work, he reared rabbits for sale at the Bull Yard market and was always willing to sell rabbits for a few pennies to village children. Two rabbits quickly became more rabbits and they were a welcome addition to a family’s menu. Rabbits also needed feeding, so the dandelions in the churchyard provided rabbit food and the weeds were kept down! Barker lived in the Rectory stables where the carriages were kept and then in a workshop at the rear of the Norris builder’s yard. There was no heating or water in either place, so he would spend winter evenings in the Red Lion by the fire and would use the toilets there. Mrs Norris would cook him a dinner and would make him a rice pudding. However, by the mid 1940s, with Barker in his late seventies, John Norris went to see Barker’s son who agreed that Barker should move to his home at Owthorpe. Barker had a few possessions including a chest of drawers and a piano. These were moved there in Tommy Samuel’s lorry. To Ian Norris’s memories, it can be added that, in his later years Barker worked at Barnstone Cement Works. The Grantham Journal of the 21st October 1949 included a long report of the Barnstone Cement Works Dinner, which included the following tribute to Barker: “The Barnstone works can proudly boast of a happy, contented and industrious community in their midst, evidence of which is to be found in the remarkable records of employees, the oldest of whom is 85-years-old Barker Winn, of Langar, still actively engaged as a bricklayer. He was among those attending Friday’s function.” Barker was actually 82 at the time, but this hardly matters. William Barker Winn was living at Earl Howe Crescent, Langar, when he died on the 14th January, 1952, aged 85. He was buried at Langar.